I am an experienced production professional, offering project management, production services, strategic buying and workflow consultancy. Over the years I have worked on children's novelty books, high profile novels, non-fiction and everything in-between. I provide a tailor-made service for my clients, to make the complex world of book production simple and easy to understand, helping them to avoid some of the costly and time-consuming mistakes that can be so easy to make. I use my extensive network to ensure that their books are produced by the people best suited to their needs, making sure they get value for money and meet their schedules. For my larger clients I develop buying strategies, to make sure every pound counts and help them to create the most appropriate workflows to meet their business needs. The production for Mayer le Boeuf, a small non-fiction author/publisher. Production and operational support for Fridhem Publishing, a new micro-publisher of Scandinavian fiction. I also teach the production and ops module on the UCL Publishing MA programme and provide production training to those working in the industry. 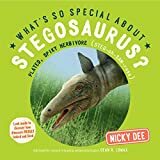 What's So Special About Stegosaurus? Stegosaurus is described as having a body almost the size of a bus, a head the size of a horse and a brain the size of a walnut! Discover how fast it could move with the Speed-o-Meter, how terrifying it was on the Scary Scale, and which of today's animals it most resembles. 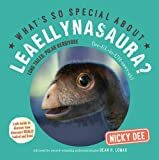 Leaellynasaura was a turkey-sized herbivore that survived in a part of Australia that used to be much further south than it is today, attached to a vast polar continent. Discover how fast it could move with the Speed-o-Meter, how terrifying it was on the Scary Scale, and which of today's animals it most resembles. 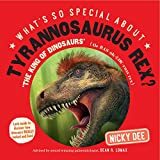 What's So Special About Tyrannosaurus rex? 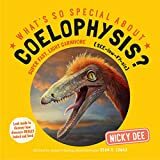 What's So Special About Coelophysis? A handy and easy-to-use guide containing more than 3,000 commonly found marks for all types of pottery and porcelain, with information on the makers, factories and artists they represent for on-the-spot reference. Line drawings illustrate the different styles and patterns. Everyone from the novice to the expert collector—and auctioneers too—will want to own this. This is the only annual price guide to the ever-expanding field of collectables. Over 6000 fully captioned photographs are featured, covering a wide range of traditional and more unusual collecting areas, from aeronautica to walking sticks, breweriana and the up-and-coming fields of the 1950s and 1960s. Essential reference for both boot fair and auction. Heather is an outstanding professional. She is extremely knowledgable, enthusiastic and adds value to every project. We have really enjoyed working with her. She is quite simply the best in the business. Highly recommended. Thank you so much for such a lovely review.